Thanks for the support Calus Bling and crsublette. supporting Koiphen and qualifies her our newest Lifetime Member! Thank you for your years of support! Thank you Tina for your continued support! Thanks, Tina. Lifetime now is great. Thanks Tina. You are now a Lifetime member!!!! Welcome back to edandlouise who have renewed their WWKC Membership for 2018! Thanks for your continued support! back edandlouise Thanks for your continued support! Thanks for the continued support edandlouise . Thanks for the support edandlouise. Welcome back to our newest WWKC Pro Member, nicksnishikigoi! Welcome back nicksnishikigoi. Thanks for the support. Thank you to ZephTheChef for renewing his WWKC Hobbyist Membership for 2018! Thanks for your continued support! Thank you ZephTheChef for your continued support! Please help me welcome and thank our newest WWKC Hobbyist member, Diegar! Thanks so much for your support! Diegar Thank you for your support! Welcome to the club Diegar, and thanks for the support. 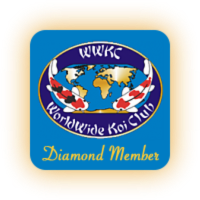 Welcome to our wingrider who just signed up as a new WWKC Annual Hobbyist Member! Thanks for supporting the WWKC and Koiphen! !